Home US News	American Companies Still Make Aluminum. In Iceland. This is precisely the kind of globalization that economists have long told us is beneficial. Iceland gets jobs. Alcoa shareholders get higher profits. 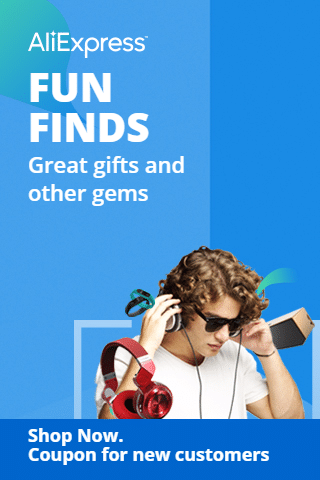 Shoppers in the United States get lower prices. Of course, there is also a hefty cost: factories closed, jobs gone, communities torn apart. Voters infuriated by the loss of manufacturing jobs helped put Mr. Trump in the White House. 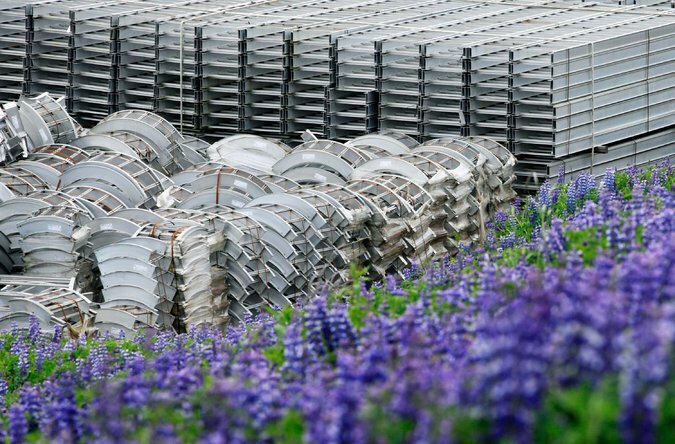 Stacks of fabricated aluminum are stored at the smelter in Iceland. But in a curious twist, the American aluminum industry and its workers are now hoping the last round of globalization will help the surviving companies compete against a new rival: China. Iceland rose to prosperity by exporting codfish, but beginning in the late 1960s, officials landed on a clever way to export another natural resource: electricity. They persuaded a Canadian company to open the island’s first smelter, where aluminum is produced by electrifying molten pots of alumina, a material refined from bauxite. Iceland’s first smelter sits just south of Reykjavik, the capital city and dominant population center. The second, opened by Century in 1998, sits just to the north. Alcoa arrived in 2007 after Iceland built a giant power plant on the other side of the island, near a sparsely populated region where the fishing industry was in decline. Iceland’s electric utility built five highland dams that capture glacial meltwater. The largest of the resulting reservoirs is roughly the size of Manhattan. The water is piped 25 miles to an underground power plant, then dropped a quarter-mile down another pipe to make the turbines spin. Finally, the resulting electricity is transmitted 47 miles on high-voltage lines to the ocean’s edge. Electricity in Iceland costs about 30 percent less than what Alcoa might pay in the United States. That’s a crucial consideration, because the Alcoa smelter alone uses more than five million megawatt-hours of electricity each year — about the same as the half-million people and all the businesses in the city of Colorado Springs. Alcoa chose Reydarfjordur also because of its deepwater port, which the United States used as a military base during World War II. Lower shipping costs have played a key role in allowing smelters to be built in the far corners of the earth. It is more difficult to get here by land. The road from the nearest airport is sometimes closed during the winter months. The long smelting sheds are bound together by large, colorful pipes, and, because this is Scandinavia, the company held an architectural competition for the design of the administrative wing. The complex, where 450 people work in two shifts, is probably the largest in Iceland. 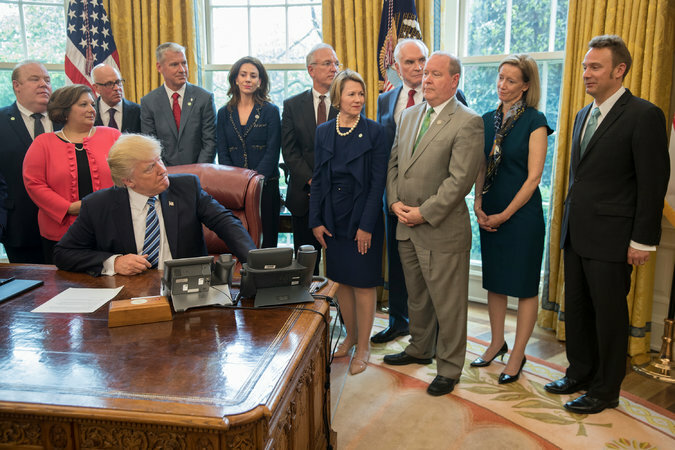 President Trump met with members of Congress and officials from the aluminum industry at the White House in April. Olafur Gunnarsson, 33, an Alcoa employee, was raised here. When he was a toddler, herring was king. But then he grew up, the fishing companies left, and nothing else came. He drove a truck, worked briefly at the post office, got a job at the grocery store — and quickly lost it because there weren’t enough customers. “This place was going to be a ghost town,” he said. Sandra Thorbjornsdottir, originally from Reykjavik, moved here in 2010 to reopen an old inn, Taergesen, that had closed the previous year. She has prospered as the town has revived. In 2013, she added a second building of guest rooms. Last year, she bought another nearby hotel. And while Iceland is exporting aluminum to the world, she is importing all of her workers. At the moment, her three guesthouse waitresses are Polish, French and Spanish. The factory has also brought people back to their hometown. The population, which had fallen to about 600 from 1,100 by the early 2000s, had now rebounded completely. Thoney Kristin Sveinsdottir arrived in Reydarfjordur at 17, when her father took a job at the fish processing plant. She and her sister both left town as quickly as they could, but now they have both returned. She married a man who works at the factory, and her sister works in Alcoa’s local office. This image of Icelandic prosperity, of course, has its negative in the American towns where Alcoa was once the dominant employer. Fewer than a quarter of its 14,000 workers are now based in the United States. 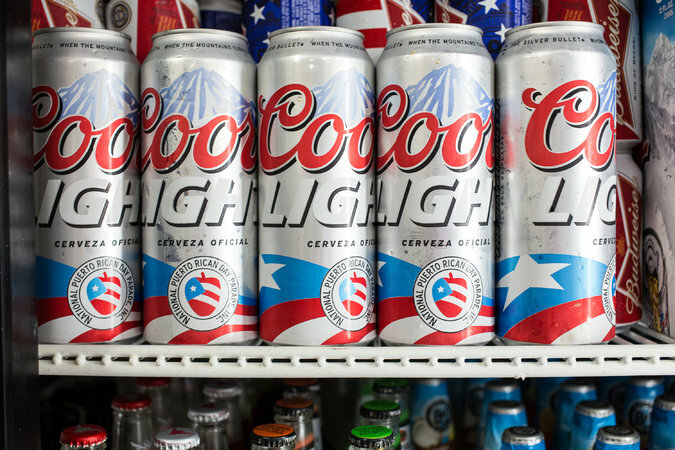 Companies that use aluminum, including Molson Coors Brewing, are warning that trade restrictions will raise prices. Two dozen domestic smelters have completely or partly closed over the last quarter-century, erasing thousands of jobs and punching holes in communities in the Ohio River Valley and in the Pacific Northwest. American smelters were old and less efficient, and energy costs have increased. In Washington State, for example, competition from “server farms” — mammoth buildings, stacked with computer servers, which also devour electricity — drove up the price of hydroelectric power. America’s reliance on imported aluminum grew rapidly. As recently as 2008, domestic aluminum production exceeded consumption. Last year, imports accounted for 52 percent of domestic consumption, according to Interior Department statistics. And in the former factory towns, what comes next is rarely as good. A natural gas power plant is planned for the riverside land in Hannibal, Ohio, where the Ormet Corporation operated a smelter until 2013. The smelter employed about 1,000. The power plant, roughly 20. Alcoa still operates two domestic smelters, but only because New York State is paying $73 million to maintain operations at the smelter in the upstate of town of Massena, on the Canadian border, until 2019. The United States still has plenty of companies that turn raw aluminum into parts or finished products. Last year, Alcoa spun this more profitable line of business into a separate company called Arconic. Among that company’s products are the aluminum-clad panels that are blamed for accelerating the deadly fire in a London high-rise apartment building last month. Robert Smith, the head of the Steelworkers local at the Massena plant, said he recalled the exact moment he heard Alcoa was planning to pull out: He had just made the first payment on a new home. The state’s intervention was a welcome reprieve, but he worries it won’t last. But the aluminum industry does not want to bring back the jobs that have moved to Canada and Iceland and other countries where American companies now have operations. The domestic industry is increasingly focused on turning aluminum into parts and products, a business that depends on the flow of trade. Bauxite may be mined and refined in Jamaica, shipped to northern Quebec for smelting, then hammered into car parts in Alcoa, Tenn.
Only a single domestic aluminum smelter produces the high-grade aluminum used in Lockheed Martin’s F-35 fighter jets for the United States Marines, Air Force and Navy. Both the Aluminum Association, which represents producers, and the United Steelworkers, the primary union, want the government to narrowly target China, the new arrival on the scene. The industry argues that China is unfairly subsidizing its aluminum industry, allowing Chinese companies to undercut their foreign rivals. Only 10 percent of American aluminum imports last year came from China, but the industry argues that everyone is forced to compete against the Chinese prices — and Western companies are struggling to turn a profit. American aluminum companies are also nervous that China is just beginning to expand into the still profitable business of turning raw aluminum into finished products. But cheap Chinese aluminum means goods made from aluminum are cheaper, too. And companies that use aluminum warn that any trade restrictions would raise prices. The administration is exploring protectionist measures that it would justify by arguing that national security is weakened by import dependence. The administration is also conducting an investigation of steel imports. 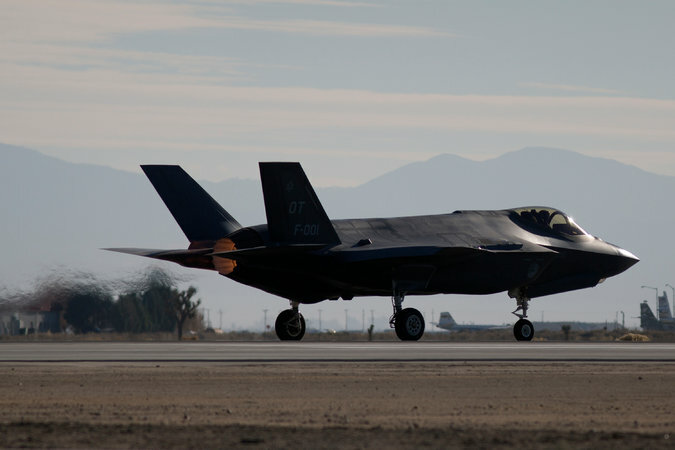 Wilbur Ross, the secretary of commerce and presidential confidant, has noted that a single domestic aluminum smelter, in Hawesville, Ky., produces the high-grade aluminum used in Lockheed Martin’s F-35 fighter jets for the United States Marines, Air Force and Navy. Similarly, Mr. Ross said there is only one domestic refinery that produces the steel used in the transformers that are necessary to move electricity around the country. “That, to me, is a legitimate national security issue,” he said. The industry, in turn, argues that these niche businesses require a broader ecosystem. Heidi Brock, the chief executive of the Aluminum Association, said “a commercially viable and sustainable industry” was necessary to maintain specialized production. 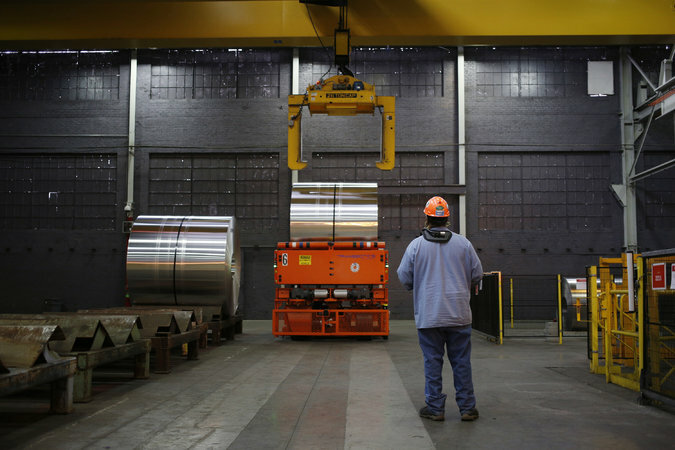 Aluminum coils are moved around the Arconic manufacturing facility in Alcoa, Tenn., where they will be hammered into car parts. The administration has broad authority, under both domestic law and international trade agreements, to impose protectionist measures in the interest of the nation’s security. But the United States has invoked that authority on only a few occasions. The United States limited oil imports from Iran in 1979 and from Libya in 1982. The Reagan administration also used the threat of sanctions to persuade Japan and Taiwan in 1986 to curtail exports of certain kinds of machine tools. Past administrations have judged that trade barriers are bad for the domestic economy: While some jobs may be lost, China’s production of low-cost aluminum has also delivered broad benefits to the United States. Bemis, a Wisconsin company that makes packaging from imported aluminum foil, employs 9,000 workers in the United States. If the cost of foil goes up, “the result would be grave economic consequences to the domestic manufacturing facilities of Bemis, other packaging producers and our customers with no increase in defense security,” said Steve J. Casey, the company’s procurement director. The government of Iceland estimates that it has harnessed only about a quarter of the country’s potential output of hydropower and geothermal energy. And all three of the aluminum companies have floated expansion plans in recent years. Iceland’s ardor for aluminum smelters, however, may be cooling. One concern is that Iceland is not getting a fair deal. The price of electricity is about 30 percent lower in Iceland than in the United States, according to Askja Energy, a consultancy in Reykjavik. Critics argue that Iceland is leaving money on the table. “The root of all this was the government’s determination to find a way to reduce the economy’s dependence on the volatile fishing industry, and they thought that rolling out the red carpet, that was the way to do it,” said Thorvaldur Gylfason, an economics professor at the University of Iceland. He said Iceland should take advantage of its natural resources, but there was no reason to go begging. A growing environmental movement, backed by local celebrities like Bjork, also opposes the expansion of heavy industry. The Alcoa smelter set off protests that led to the creation of a national park encompassing almost a fifth of the country. The government is looking for other ways to sell electricity. Iceland and Britain agreed in 2015 to explore the idea of laying a power transmission line on the ocean floor. Iceland is also recruiting server farms of its own. Petur Blondal, the managing director of the Icelandic Association of Aluminum Producers, said he did not expect the construction of any new smelters on the island. Instead, he said the domestic industry hoped to grow by making more advanced and valuable products from the raw aluminum — just like the United States.